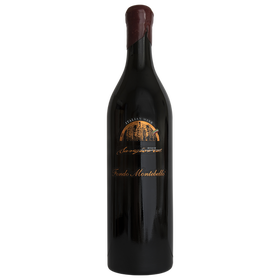 Fondo Montebello Balsamic Vinegar of Modena I.G.P. 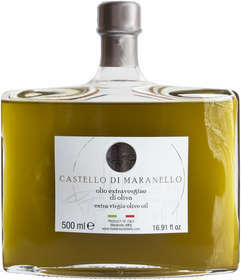 (Protected Geographical Indication) is a product without any addition of aromatic substances, colouring or other additives; the specific intense taste is given by the excellent locally sourced ingredients and from the aging in wooden barrels that naturally transmit their own characteristics to the vinegar. 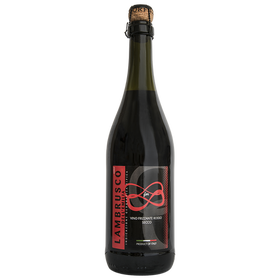 For this reason we want to underline that any slight sediment that can be found in the bottom of the bottle indicates the genuineness of our products. Enjoy a 10% discount and add flavour to your dishes with our Balsamic Vinegar. The only PGI Balsamic Vinegar of Modena that tickles your taste buds !!! The shipping costs for Italy (Calabria and islands excluded) are free for orders weighting less than 20 kg. Check your cart without the shipping costs. 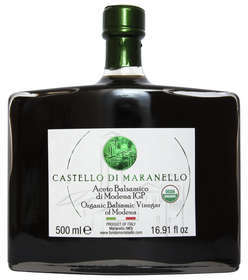 Fondo Montebello Balsamic Vinegar of Modena is a product without any addition of aromatic agents or colouring. Fermentation and aging take place in wooden barrels, giving the balsamic vinegar their typical own flavour. Enter here the “Tasting Offer” code to take advantage of the discount.